A Spanish translation of the Missale Romanum, editio typica tertia – the Misal Romano, Tercera Edición – was confirmed for use in the U.S. by the Congregation for Divine Worship and the Discipline of the Sacraments on July 1, 2016. This edition of the Misal Romano may be used beginning at Pentecost 2018, and will be the required Spanish edition in this country as of the First Sunday of Advent, December 2, 2018. What is New? What is Not? 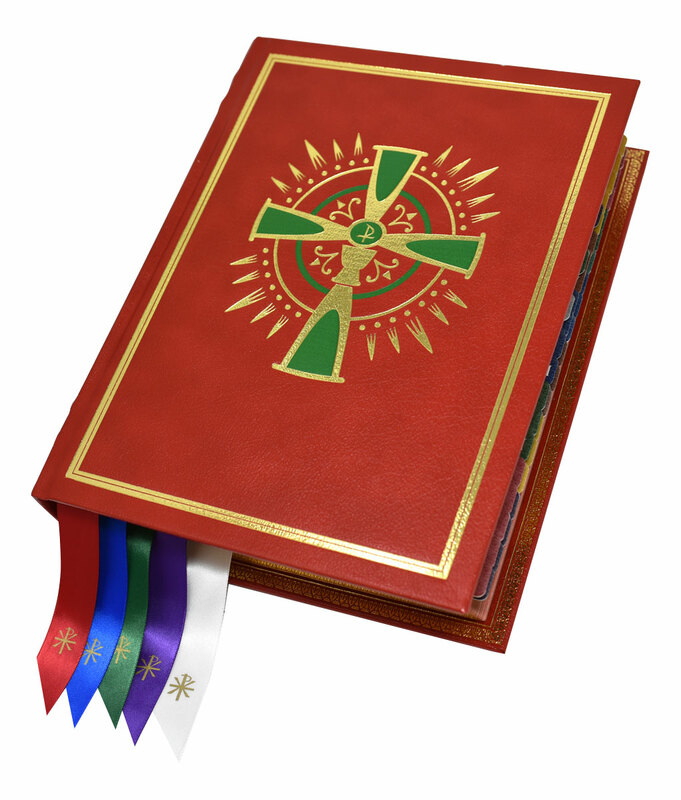 The Worship Office is offering to make a bulk purchase of the Misal Romano for delivery to the coming Summer Gathering of priests. The edition for this purchase is that from Catholic Book Publishing (click here to see page samples). Credit card purchase only - click here to order. 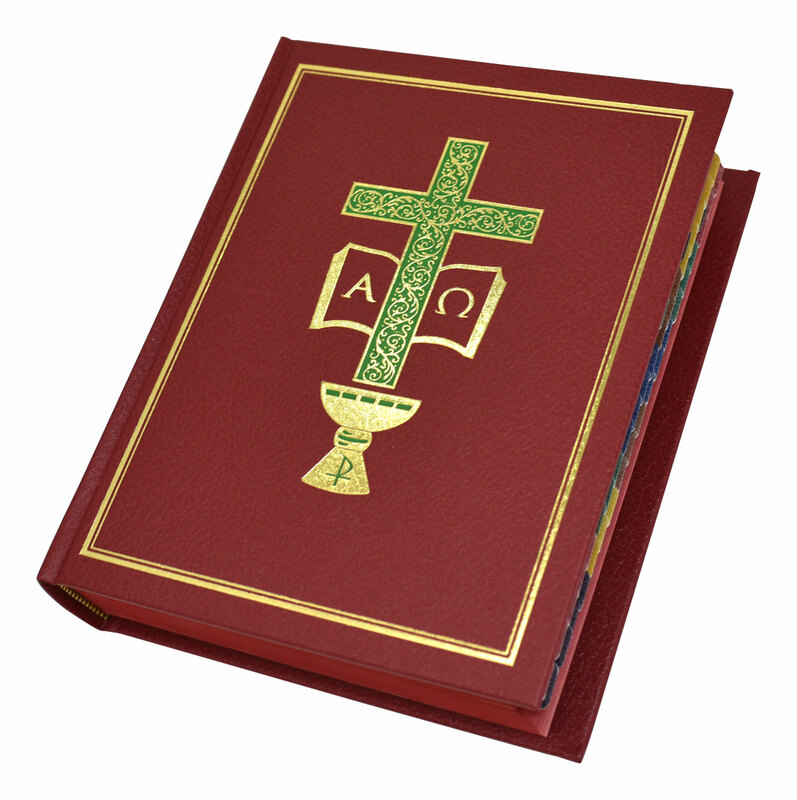 The 8 1/2" x 11" Deluxe Genuine Leather Altar Edition is bound by master craftsmen with a beautiful high-quality leather-wrapped hard cover. The Old World hubbed spine with gold stamping adds a distinctive, classic beauty, while the luxurious gold-stamped reinforced Chevo endsheets enhance the edition’s artistry. Stain under gilded pages adds opulence and provides protection from dust and humidity, while 5 satin ribbon markers lend an elegant finishing touch. Featuring large, easy-to-read type that celebrants have come to know and trust from Catholic Book Publishing, the specially produced acid-neutral cream paper ensures opacity and consistency of the highest degree, without adding unnecessary bulk and weight. Sturdy 80 lb. paper used for the Order of Mass provides extra strength to withstand everyday use.